The opportunity of a lifetime – The beginning of my Fulbright experience at the University of Massachusetts, Boston. Aoife Delaney is a PhD candidate on The Programmable City project at Maynooth University, Ireland. As a Fulbright-NUI Student Awardee based at the University of Massachusetts, Boston, she will research the transformative potential of smart technology for emergency management systems. “As I sit enjoying a refreshing iced coffee, I look out on to the walkway of Downtown Crossing in Boston on a beautiful (and possibly too hot for an Irish person) day, watching the mixture of people walk by and a moment of realization sweeps over me. I’m in Boston on a Fulbright-NUI Award! I am here just over 7 weeks and already I can see the benefits of this exchange. This is an opportunity that I am immensely grateful for and will cherish forever as I can already see myself growing, becoming more reflexive, more understanding, braver and stronger. I am learning about who I am as a person and an academic while I engage with American culture and share my story and culture with Americans, long term Irish migrants and people from many other cultures. I’ve even already introduced hurling to a few terrified and shocked Americans! In my short time here so far, I’ve learned to appreciate the smaller moments rather than wait for the big but rare moments of excitement. 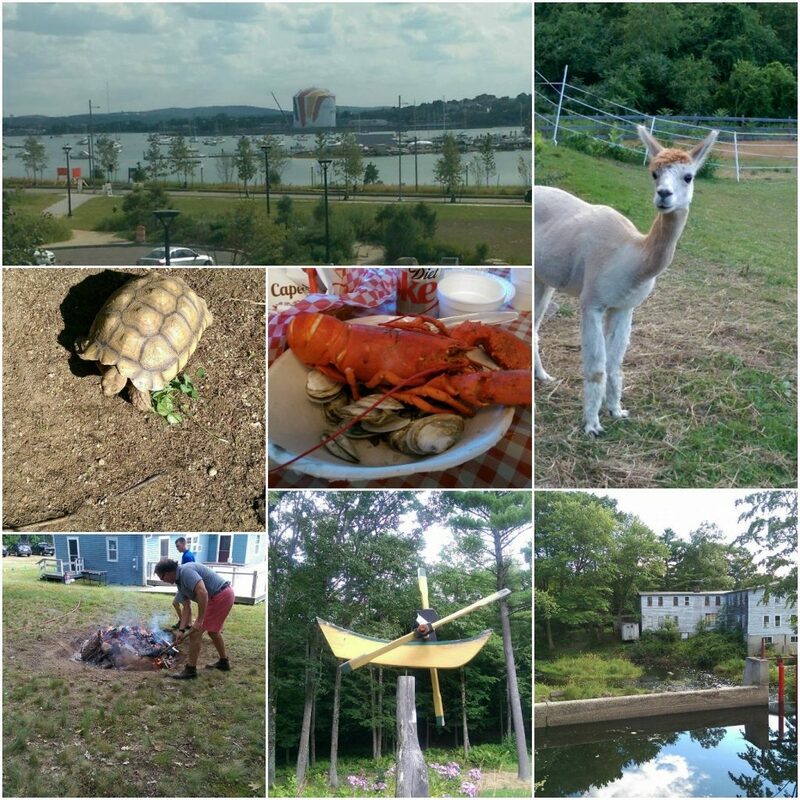 My most precious memories so far are getting to rub a turtle’s head (it’s surprisingly smooth), meeting some Alpacas, and seeing the view from my office at the University of Massachusetts, Boston for the first time. It overlooks the bay which is dotted with boats and is overwhelmingly picturesque. Another favourite memory is being brought to the end of the known universe and getting to look back at the speck that is the Milky Way galaxy in the Charles Hayden Planetarium. Other memories include exploring the dams of New Hampshire and attending my first Lobster Bake. The lobster bake was an experience. To cook the lobster, they dig a big hole and fill it with rocks which they light on fire for hours. By the time I got there the rocks were molten red and cracking and they were getting ready to throw water on it and clear out the ash. By throwing the water on it they hope for a 5-10 minutes plume of steam which they use to cook the lobsters on seaweed already placed over the hot rocks. It was such a wonderful and welcoming event. However, I must admit that dotted between all the amazing moments I have experienced there have been some challenging moments which I think are important to discuss because they too contribute to the experience and how it changes you. I had lulled myself into a belief that this would just be easy and seamless but I moved to a new city where I only really knew one person (the Fulbrighter who encouraged me to apply) and it was inevitable that I would have some low moments (but only some!). I particularly found the first 3 weeks hard as I dealt with unexpected homesickness. This was compounded by a constant stream of social media activity of what my friends and family were up too, what I was missing out on. I even felt as if I wasn’t doing the Fulbright right, that I wasn’t having the experience I should be having. Then I realised that this is part of the experience because it allows you to evaluate your own strength, to find your own feet, it helps you to grow and encourages you to really enjoy every small moment whether it’s rubbing a turtle’s head or eating an amazing Cannoli in the North End with a new friend. Any moment that makes you smile is an experience and any moment that makes you feel low is an opportunity to grow. To help me overcome these small low moments I made sure to think ahead and pinpoint days that I may feel lonely on. Then I would make sure I was busy. I would book tours, organise to meet friends, travel and go on small adventures. I also began writing a diary reflecting on each day. If it was a good day my excitement is very clear in my writing. If it was a bad day then my writing is cathartic, reflexive and healing. This diary will be an amazing keepsake to look back on and will allow me to reflect on this experience and how it changed me.